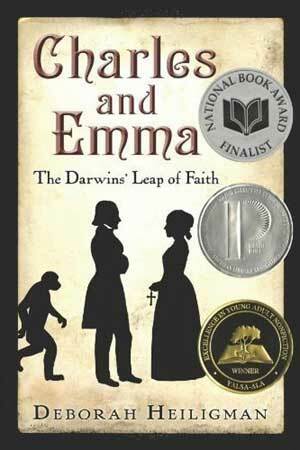 CHARLES AND EMMA: In 33 chapters and an epilogue I tell the story, letting it unfold so the reader can see how Darwin’s marriage played a huge part in his scientific work. He had a close and devoted relationship with Emma, and she adored him. But Emma was religious, and Charles Darwin was working on a theory that would rock the religious and social world. It pained Emma to think that she and Charles might not be together for eternity. The Darwins’ marriage, and how they coped with this gulf between them, even in the face of heartbreaking tragedy, is a real and poignant love story. For me, writing this book was a labor of love. I hope you enjoy it. Have fun exploring my CHARLES AND EMMA pages. New York Times Editor’s Choice – Click here to read the entire review. StorySleuths Blog hosted an interesting discussion about the book. NPR interview with Robert Krulwich. The Darwins’ marriage of science and religion – an article I wrote for the Los Angeles Times.